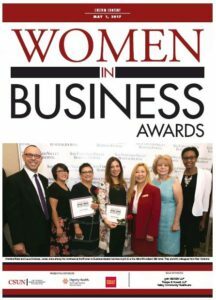 Christine Ward and Laura Korkoian Recognized for Accomplishments as Women in Business! The luncheon event took place on April 24 at the Hilton hotel in Woodland Hills — New Horizons couldn’t be prouder of these two amazing women! *New Horizons is honored to consult on the groundbreaking show Born This Way. The popular series begins airing its 3rd Season on May 16, 2017 on A&E on Tuesdays at 9pm. San Fernando Valley Business Journal Reports on AB 279 New Horizons Technology and Media Arts Consumers Celebrate Making Movies!